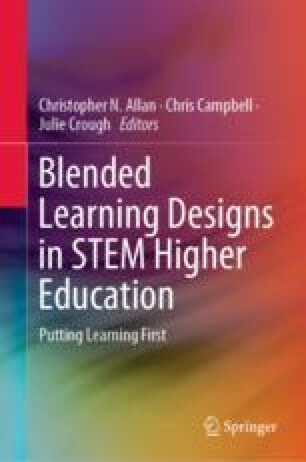 This chapter describes an innovative new approach to improve the learning experience of Bachelor of Aviation students at Griffith University, Queensland Australia. As part of their course, the students were asked to create videos and answer reflective questions on the associated learning experience to allow them to reflect on content including aspects of aviation regulation, aerodynamics, flight preparation, aircraft technical, as well as safety and procedural flying. This approach to teaching has been shown to potentially improve the way in which pilots are educated to implement the theory they learnt into practice and thus enhance learning. This is especially relevant under the current circumstances of high pilot demand worldwide and continued pressure to produce more pilots in more efficient ways. In the flight procedures course, the students recorded the videos while practising certain flight tasks on computer workstations in a computer laboratory. Students were able to use screen recording software, before they answered reflective questions that were then assessed. Evaluations of the innovation that were completed afterwards showed that the technique was regarded as highly effective by both students and the academics teaching the course. The authors would like to thank David Green, Griffith Sciences Learning and Teaching Consultant (Design) for his assistance in creating the assessment activities for the course. We would like to acknowledge Peter Bryant for his continued support with the flight procedures courses and his understanding of the importance of our research in the area. Airbus. (2017). Airbus global market forecast 2017–2036. Retrieved June 10, 2018, from www.airbus.com/aircraft/market/global-market-forecast.html. Blair, H., Campbell, C., & Duffy, M. (2017). A multi-pronged approach to the enterprise-wide implementation of a personal learning environment. In Proceedings of 2017 ePortfolio Forum: Owning, Supporting and Sharing the Journey (pp. 9–17). Retrieved May 5, 2018, from https://eportfoliosaustralia.files.wordpress.com/2017/09/ebook_eportfolioforum_2017_papers_v1_20170907.pdf. Boeing Commercial Airplanes. (2017a). Current market outlook 2017–2036. Retrieved June 10, 2018, from http://www.boeing.com/resources/boeingdotcom/commercial/market/current-market-outlook-2017/assets/downloads/cmo-2018-3-20.pdf. Boeing Commercial Airplanes. (2017b). Pilot outlook: 2017–2036. Retrieved June 12, 2018, from http://www.boeing.com/commercial/market/pilot-technician-outlook/2017-pilot-outlook/#/quick-facts. Boyd, D. (2016). Turbulence V-Speeds. Retrieved June 5, 2018, from https://www.avweb.com/news/features/Turbulence-V-Speeds-225869-1.html. Campbell, C., Bourke, J., Trahar, P., & Nisova, K. (2017). University-wide implementation: Supporting the innovators program and working collaboratively with faculties. In Proceedings of 2017 ePortfolio Forum: Owning, Supporting and Sharing the Journey (pp. 18–26). Retrieved June 5, 2018, from https://eportfoliosaustralia.files.wordpress.com/2018/10/2018-eportfolio-forum-ebook-of-short-papers-071018.pdf. Houston, S. (2018). Learning about the airspeed indicator. Retrieved June 15, 2018, from https://www.thebalancecareers.com/basic-flight-instruments-the-airspeed-indicator-282607. McDermott, J. T. (2005). A comparison of the effectiveness of a personal computer-based aircraft training device and a flight training device at improving pilot instrument proficiency: A case study in leading regulatory change in aviation education. (Doctoral Dissertation, Bowling Green State University). Retrieved June 12, 2018, https://dl.acm.org/citation.cfm?id=1144991. Qantas Airways Limited. (2018). Pilots and future operations. Retrieved June 10, 2018, https://www.qantas.com/au/en/about-us/qantas-careers/pilots-flight-operations.html.